I’d like to place these songs, an account of a genuine “book tour” I was once fortunate to undertake, and some leftover “blurbs” or testimonials for the book responsible for that tour (Jazz Journeys to Japan: The Heart Within) under “Testimonials,” for that’s obviously where the latter belong; an account of the tour might prove entertaining (and maybe even “instructive”); and what can express better evidence of, witness to or testimonial about the worth of a work of art than the Thing Itself? I hope you enjoy Jaqui offering these two songs, with Heath Proskin on bass and me on piano providing accompaniment. A book tour is–like starting a blog–an adventure, and one that writers seem to like to hear about, in hope perhaps that such “news” might assist in planning their own. I’d only traveled “afar” twice before I set out to promote Jazz Journeys to Japan: The Heart Within: the first time when poet Paul Oehler and I gave a reading from Natural Counterpoint (a book of poems we collaborated on) at Kelley House–now Kelley House Museum–in Mendocino, California, after having read in Paul’s hometown Sacramento. We felt that if folks could hear the poems (and liked what they heard! ), they might be tempted to take home a copy of the book–and it worked (and still works!). (For Natural Counterpoint, look under “Other Books” and also at “On the Nature of Literary Friendship: Paul Oehler, by William Minor” in Writers Friendship, edited and compiled by Robert Sward: http://webdelsol.com/f-friendship.htm). The second “trip” was a solo flight South to Pacific Palisades, California, where a comic novel of mine, Trek: Lips, Sunny, Pecker and Me, had been adopted by a book club and I read at Village Books there. (See Trek: Lips, Sunny, Pecker and Me under “Other Books” also). The Jazz Journeys to Japan: The Heart Within tour had been arranged by Mary Bisbee-Beek at The University of Michigan Press, which published the book (as part of its Jazz Perspectives series: Lewis Porter, Series General Editor; Christopher Hebert editor of the book, and the most simpatico editor I’ve ever had!). I was paired off with musicians, alternating readings with their music: the first time at the San Francisco Library with drummer Akira Tana’s trio. Akira, who’d written an ethnomusicology thesis on “jazz in Japan” at Harvard, had been of immense help to me with regard to my own work, so this was a perfect “fit” (there’s a chapter on him in the book), and the occasion was made additionally joyous by the appearance of a friend of mine from my mid-50s Brooklyn days, Yuri Kochiyama, a remarkable woman I’d also written about. 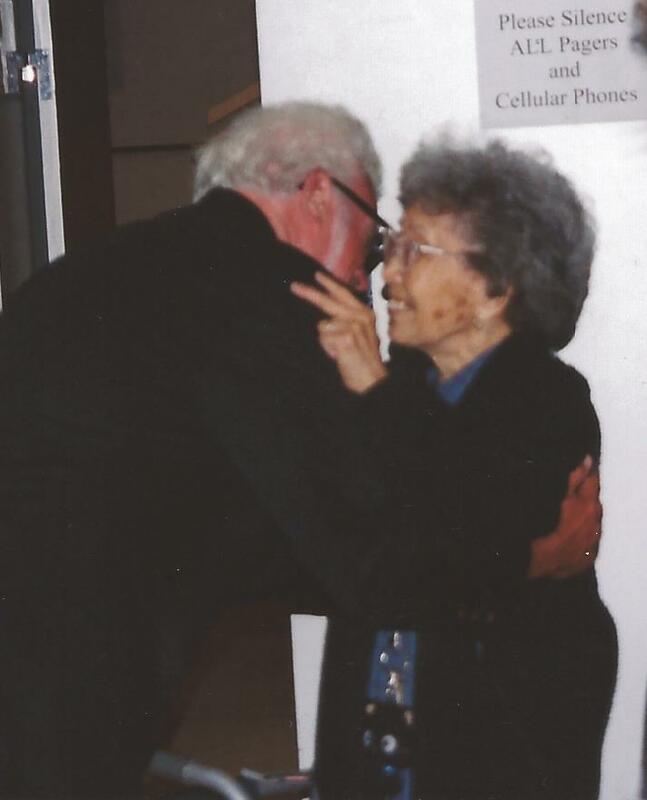 Here are some photos from that July 14, 2004 event at Koret Auditorium : of me more than likely reading about Akira (or perhaps Yuri), embracing the woman I hadn’t seen in forty-eight years, and Akira himself on drums. I’m not sure, overall, with regard to the “tour,” how musicians felt playing alongside some guy reading from a book (except perhaps, Akira, who’d been of so much help throughout the book’s “construction”). If I may have been concerned that reading might compromise (rather than enhance) their performance somehow, I was also aware that most of what I was reading was–after all–about them. When the concept of “performing” myself alongside musicians was proposed, I thought it was very cool, and doing so was–obvious to me now–a forerunner of forming the “troupe” (vocalist Jaqui Hope, bassist Heath Proskin, me on piano and reading) I work (play) with now, where music itself resides not just alongside but within, around, and about the text. The risk for a writer, I suppose, is that the means of promoting the book may become more interesting–or at least immediately entertaining–than the book itself. Unlike hearing a few poems read by Paul Oehler and myself at Kelley House in Mendocino, with what I’m doing now, an audience may feel they’ve heard enough, have seen a whole show (which they have) and be less inclined to take the book itself home as a souvenir. But “so far so good,” for if there’s any “instruction” for writers involved here, it may be: Let people hear what you write, enhanced by whatever means (music, visual art work, photographs) you find suitable. If I may attempt a baseball analogy, I think the “batting average” has been good–for me so far: 26 copies of The Inherited Heart: An American Memoir purchased by a standing room only audience of sixty-some folks, and even three copies sold when we had a small (but richly appreciative!) “crowd” of thirteen. Five of those present already had a copy of the book. Returning to my “tale” of touring, a few months after the San Francisco Library “gig” (with some activity in between I’ll also tell you about), my sister Emily–who lives in Old Lyme, Connecticut– and I drove up to Manchester, New Hampshire for a February 11, 2005 Northeast Cultural Coop event at the Palace Theatre–advertised as “Jazz by Tiger Okoshi Quartet & Readings by William Minor,” an adventure that would turn out to be the highlight of the “tour” for reasons I could never have anticipated. 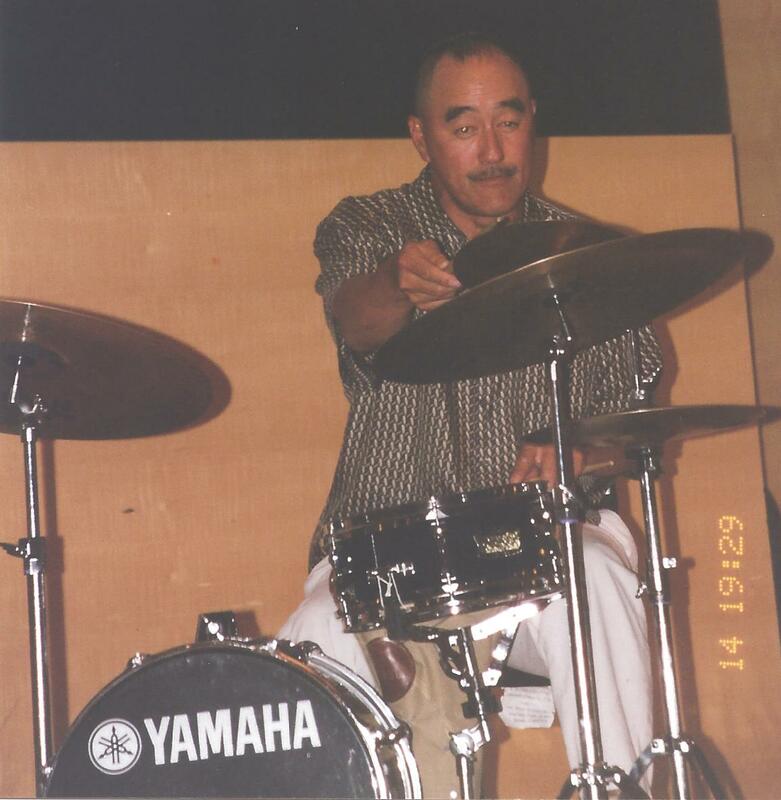 I’d first met Tiger in Hawaii, when he performed alongside Toshiko Akiyoshi at the Hawaii International Jazz Festival, and I interviewed both of these great artists (the result: two chapters, one called “The Tiger …”, the other “… And the Lady”) on my way to Japan. Extraordinary musician, inexhaustible teacher, humanitarian, and just a great human being, Tiger Okoshi furnished much fine material–and I was looking forward to seeing him again in Manchester. My sister and I attended a late afternoon rehearsal at the Palace Theatre (“New Hampshire’s Home to the Performing Arts Since 1915”) and Tiger greeted us warmly, immediately, and introduced us to the members of his quartet: Justin Purtil, bass; Jordan Perlson, drums, and a pianist whose fine touch and taste impressed me from the start, Daniela Schachter, from Sicily: all three musicians who’d graduated from or were attending Berklee College of Music in Boston, where Tiger teaches. He outlined a program he had in mind for that night, then asked me if I played an instrument. I said I played piano, but quickly added, “but not when Daniela’s in the room!” (She is that good!) Tiger then asked me if I sang, and little did I know, when I said, “a bit,” that I would end up singing “St. James Infirmary” with this extraordinary group that night–but I did! 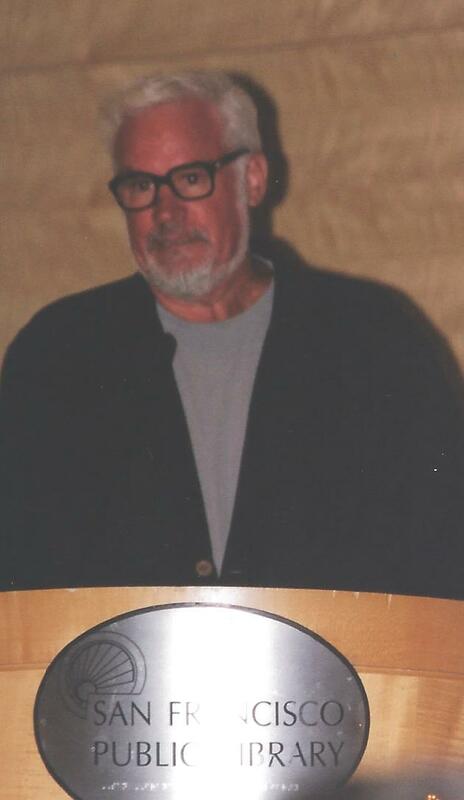 After the performance, I phoned my wife Betty and said that I’d just had one of the “peak” experiences, if not “the peak” experience of my life–and it would all more than likely be “down hill” from this point on, for I’d now done just about everything I’d ever dreamed of doing in this life. Here are photos of me on stage singing “St. James Infirmary” (Daniela Schachter playing harmonium) and Tiger alone with his muted horn. This wasn’t the full extent of the book tour adventure, but that evening, and spending time with the members of the quartet, Tiger, and his wife Akiko before (at an improvised “dinner” for Daniela, on her birthday!) 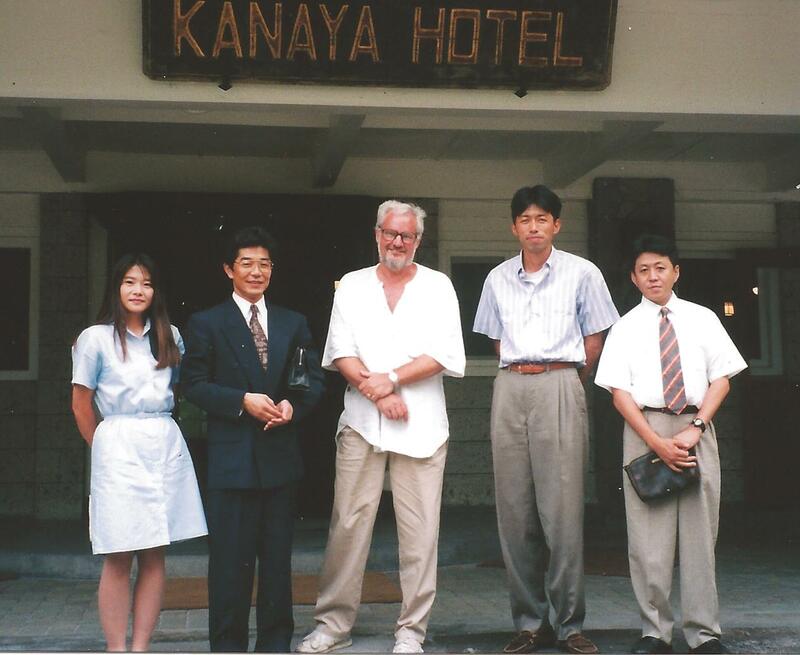 and after (running into Tiger and Akiko checking out of our hotel the next morning) had certainly been a thrill for me. And I’m happy to say that Daniela Schachter has made an excellent name for herself in New York as pianist, vocalist, composer and arranger. If you want a source for some first-rate music, check out her website: http://www.danielaschaechter.net/. In October, 2004 I’d flown to New York City to give two lectures–“Jazz in Yokohama: Past and Present” and “Yosuke Yamashita–A Musician Who Has Made a Difference” at the Japan Society on East 47th Street, the talks given just before concerts by pianist Yamashita of music from his then recently released Pacific Crossing CD. 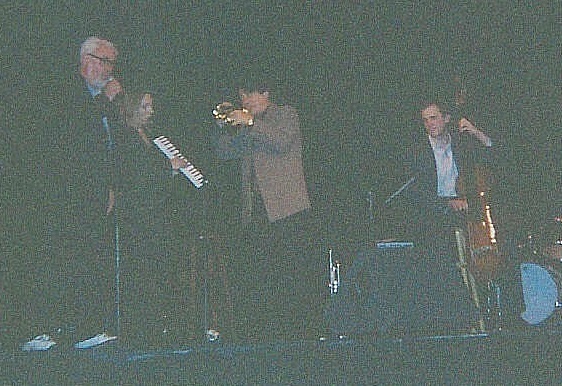 On February 16, 2005, I gave a reading at Chapters Book Store in Washington D.C., with jazz critic Willard Jenkins serving as host; talked with Hiroshi Furusawa, Director of the Japan Embassy Information and Cultural Center (discussing a possible fall program that didn’t pan out); and met Chris Hebert with a University of Michigan Press booth display of the book at an AWP (Association of Writers and Writing Programs) conference in Vancouver, Canada (March 30-April 3, 2005). I was not just fortunate but “blessed” to have much of this activity arranged for me by Mary Bisbee-Beek at The University of Michigan Press, but as someone who has done his share of self-publishing, I realize that much of such activity also comes about by word-of-mouth, other “connections” or “networking” (IAJE, AWP, the Jazz Journalists Association, the Monterey Jazz Festival), some hard work “hustling” on my own (perseverance: faith & patience! )–and solid friendships and acquaintances: the support of people who care! 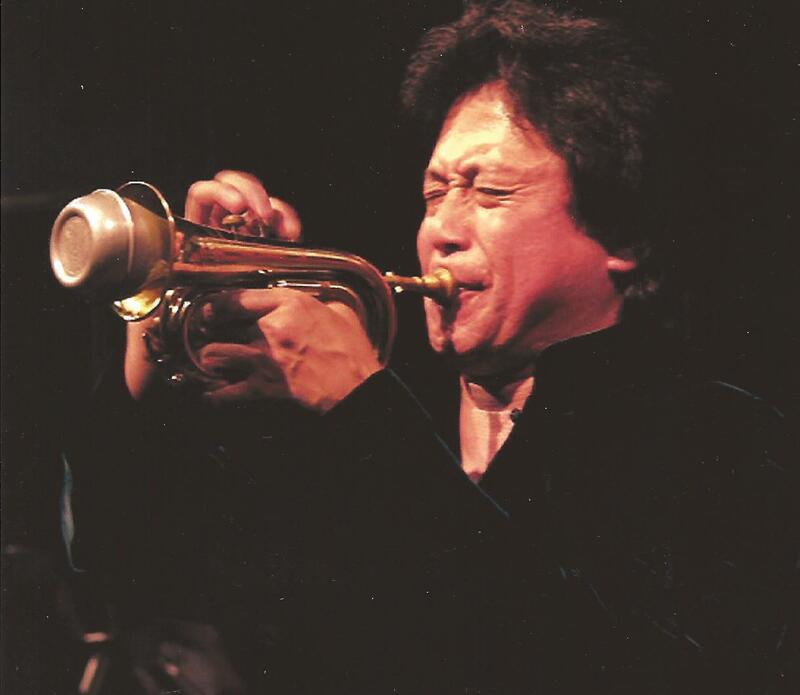 I’ll close out with the testimonials I said I’d include here–and with praise for “Japan’s special adventure in jazz,” the remarkable music that’s been played over the years in and from Japan. 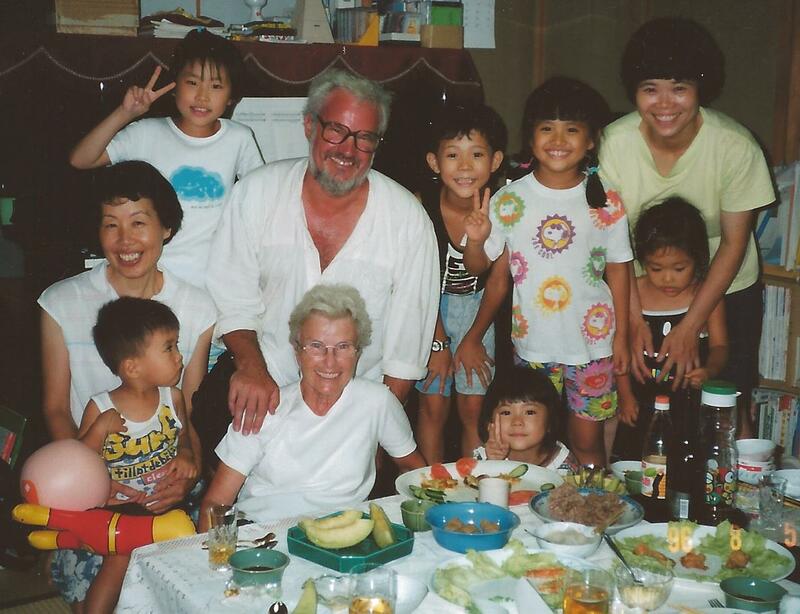 And here are two photos from Jazz Journeys to Japan: The Heart Within: one of my wife Betty and I with our son Steve’s wife Yoko’s relatives, the Kawagishi and Nakamura families, in Nara (an upright Yamaha piano, which received frequent use, in the background); and a photo of me standing with some members of the Albatross Swing Jazz Orchestra of Nikko (one of the best of thousands of such amateur big bands playing the music in Japan). The videos are a joy. “My Fingers Refuse to Sleep” is a great song beautifully performed. Written and performed straaight from the heart. Jacqui Hope loses herself in the song and tells a story she knows deeply. Because of this deepness, we are given permission to reflect on our own intimate stories of loving, passionate memory. “The Nearness of You” is a smokin’ rendition of a classic. Jacqui Hope, again, sings the story from inside the words, while Bill Minor and Heath Proskin accompany her leaving the kind of musical space only musicians who’ve lived a full life can provide. The tour stories are also extremely interesting, and the compliments reported mirror my own thoughts on your books. 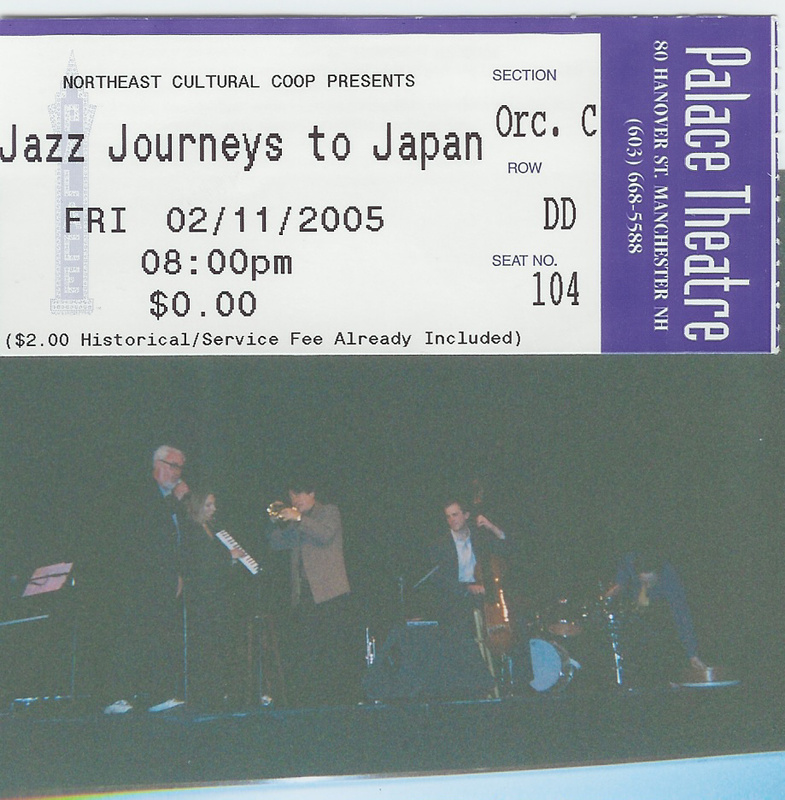 Jazz Journeys to Japan has remained one of my favorite books about traveling in Japan. The jazz angle makes it all the more fascinating, but you capture the heart and soul of Japan as you sojourn, opening up the readers’ heart to that wondrous culture. I loved reading here all about the book tour. Even now when you recount it I can hear that you are still full of Joy about every moment!